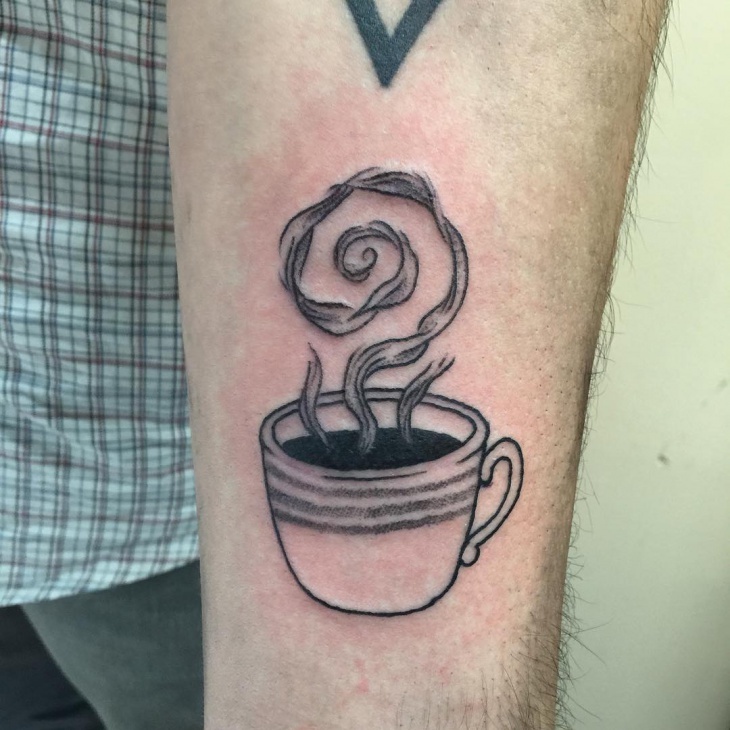 Caffeine addicts can now display their coffee OCD through coffee tattoo design. 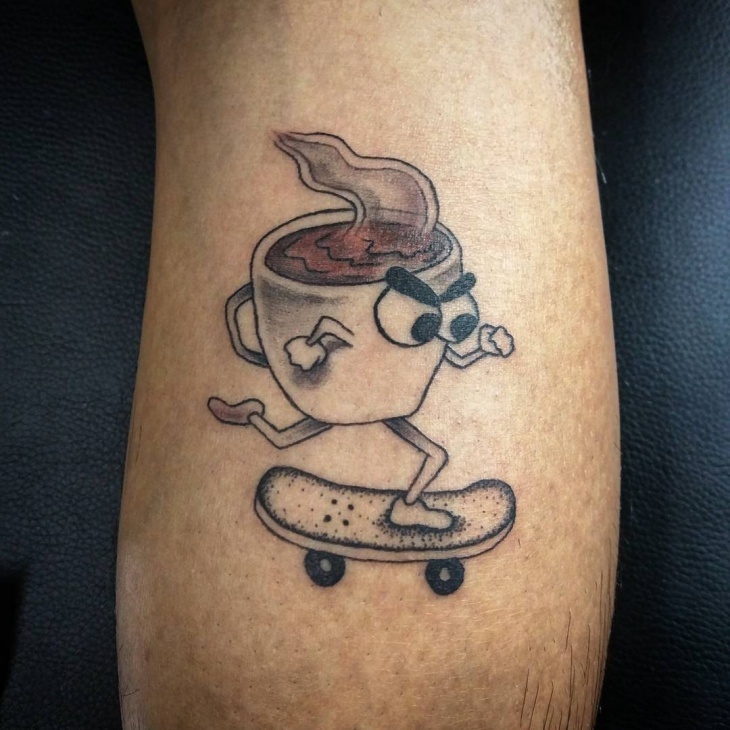 Be it your favorite brand of coffee or the coffee motif per se, you can have it all inked on any part of your body. Every coffee drinker has a distinct personality. For instance, cappuccino drinkers are creative, frappe with cream drinkers are trendsetters, black coffee drinkers are minimalists and great leaders. 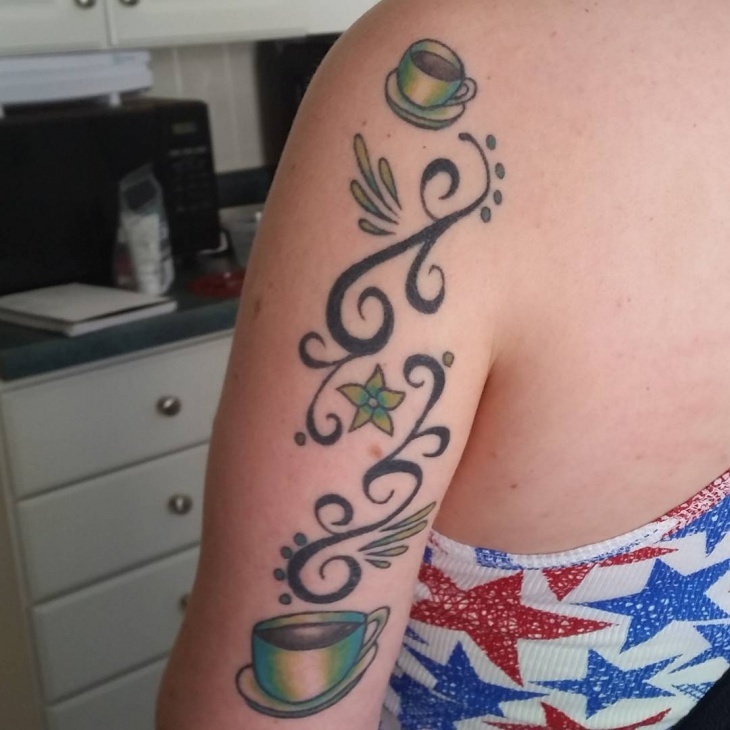 Wear your coffee tattoo on your shoulder or simply use this motif. This is an interesting motif compared to the run of the mill, commonly used designs. 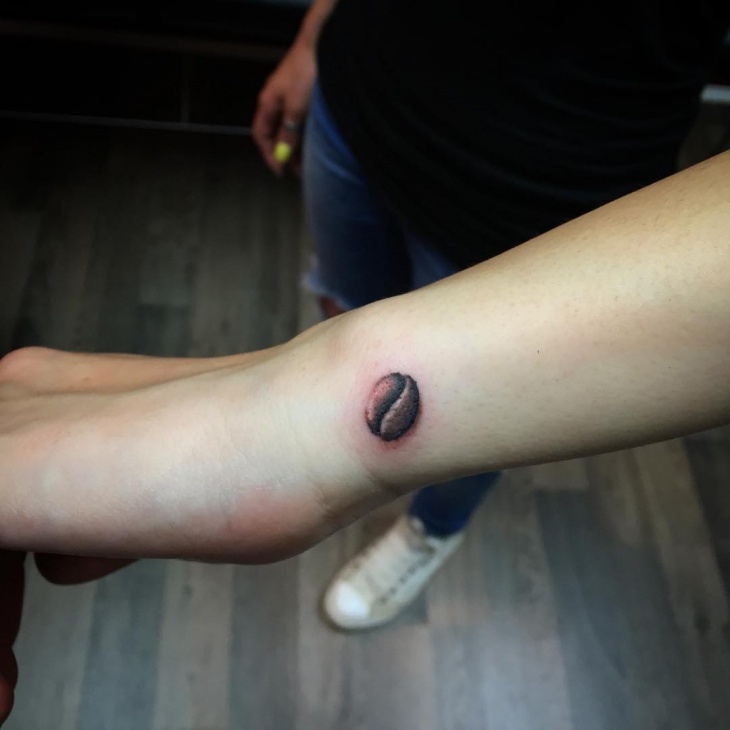 A tiny coffee bean tattoo on the palm looks cute on a young boy or a girl. 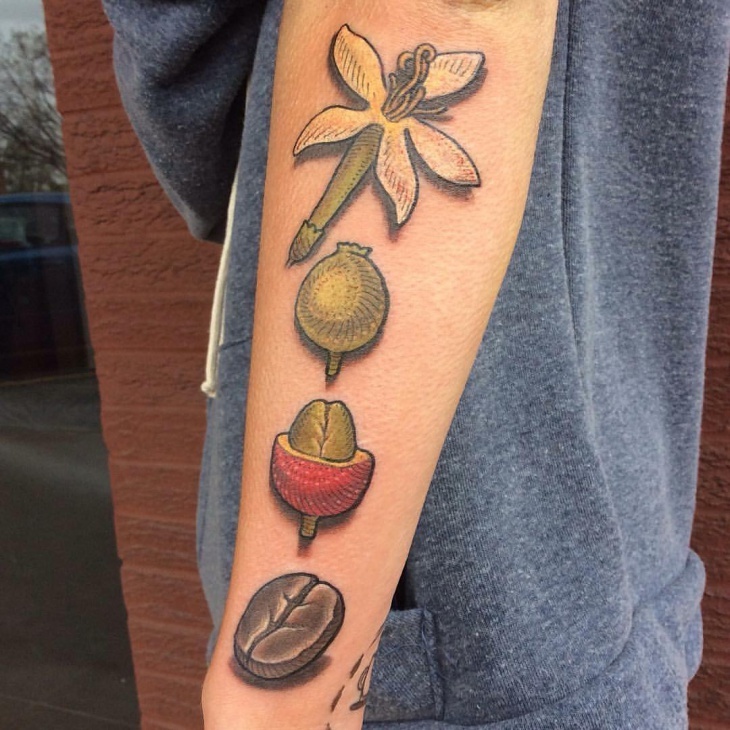 This design of a simple coffee bean in coffee brown color looks realistic. Young boys and girls who want to try something different can use this design. 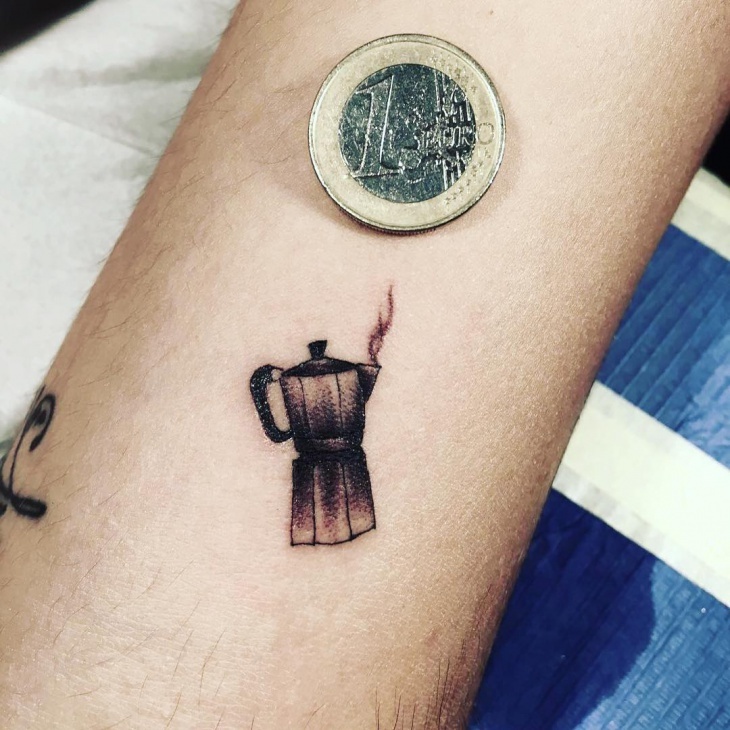 A complete black tattoo that outlines how coffee is boiled in a pot looks good on a man’s hand. 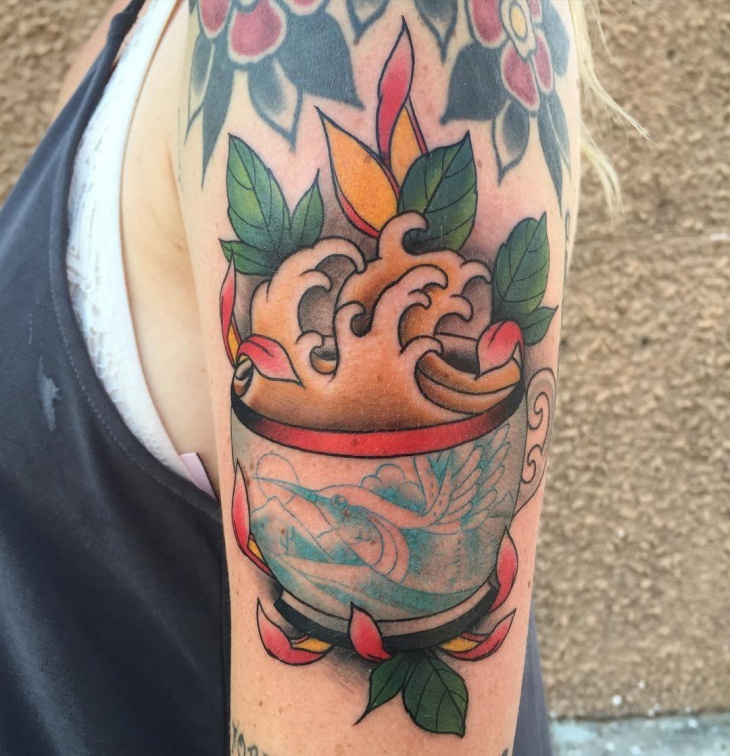 An elaborate coffee design that is unique in every way. 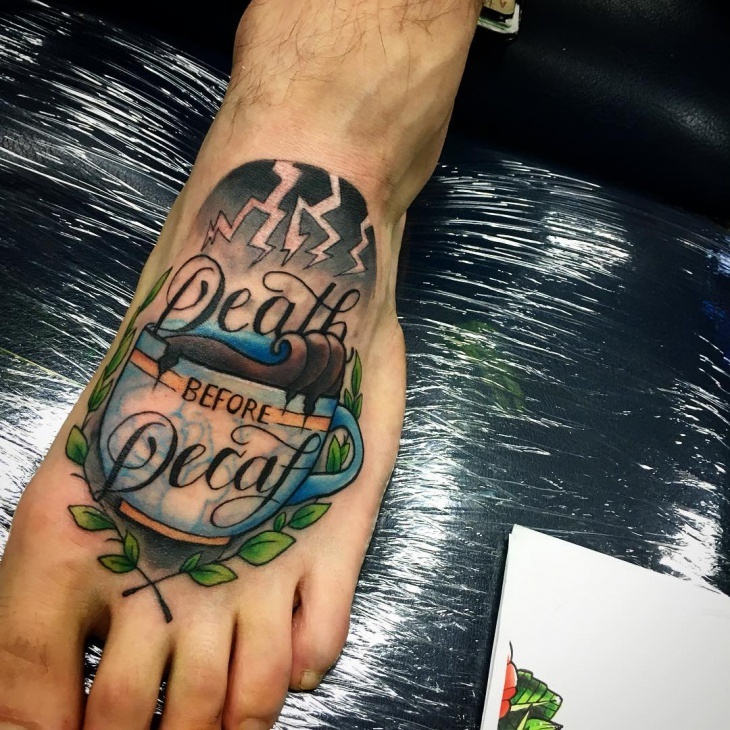 Do you love your de-cafe coffee? 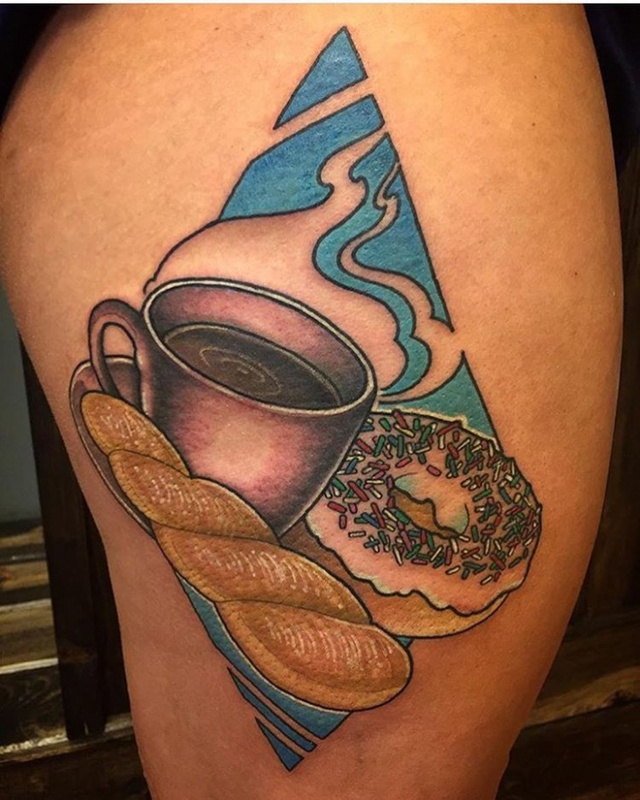 This tattoo is elaborate and has many colors like blue, black, peach, and green thrown in. A large coffee mug with the letters, ‘decafe’ written on it. 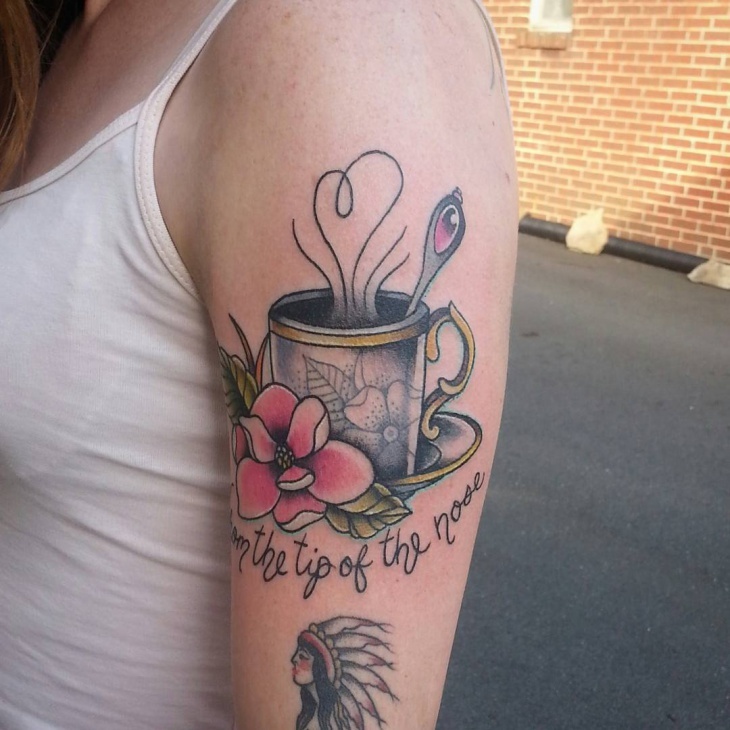 Bold women who are coffee lovers can use this tattoo. 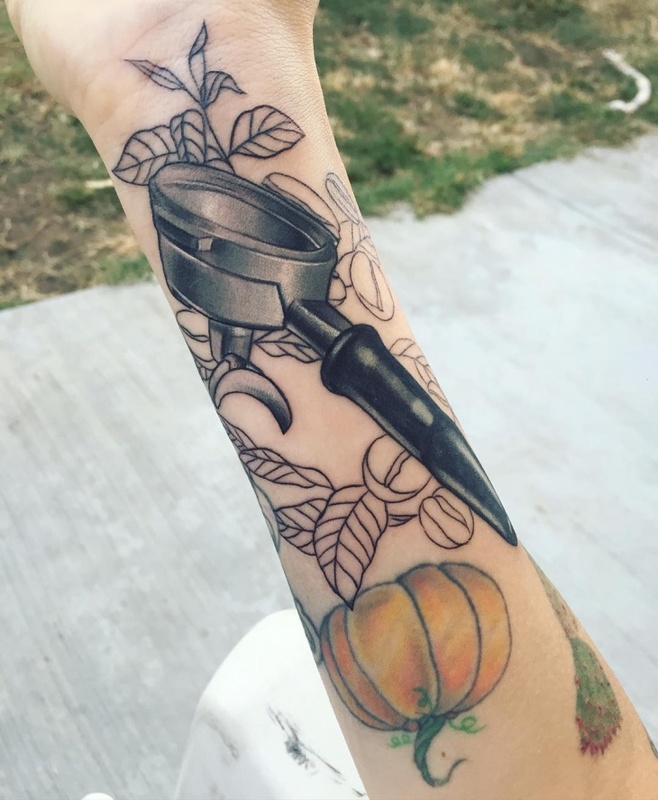 With the tagline, “key to survival,” this motif has a banner with coffee mug having a floral motif designed onto the arm. At the bottom of the design are parts of a floral motif with three green leaves. 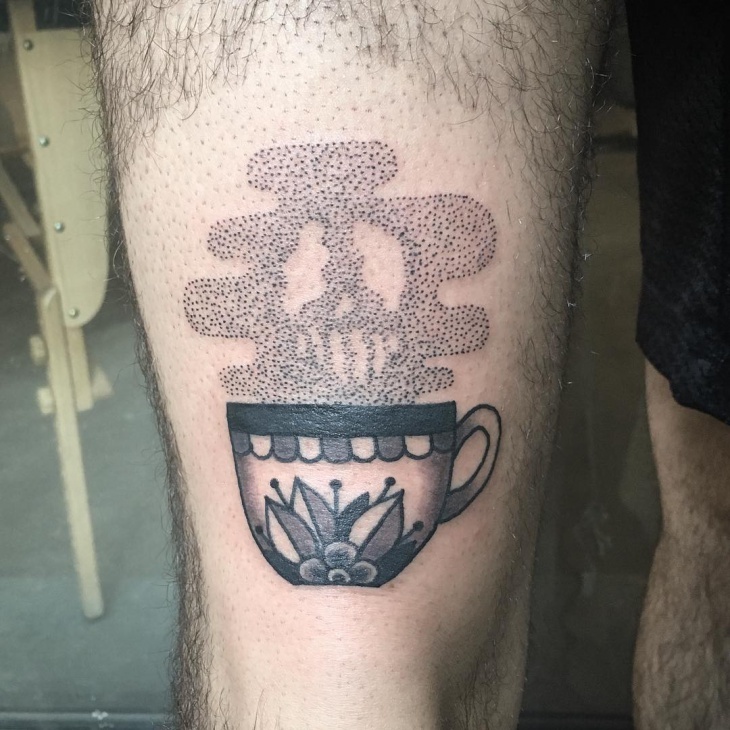 A cup saucer tattoo with a well-carved spoon dunked in. 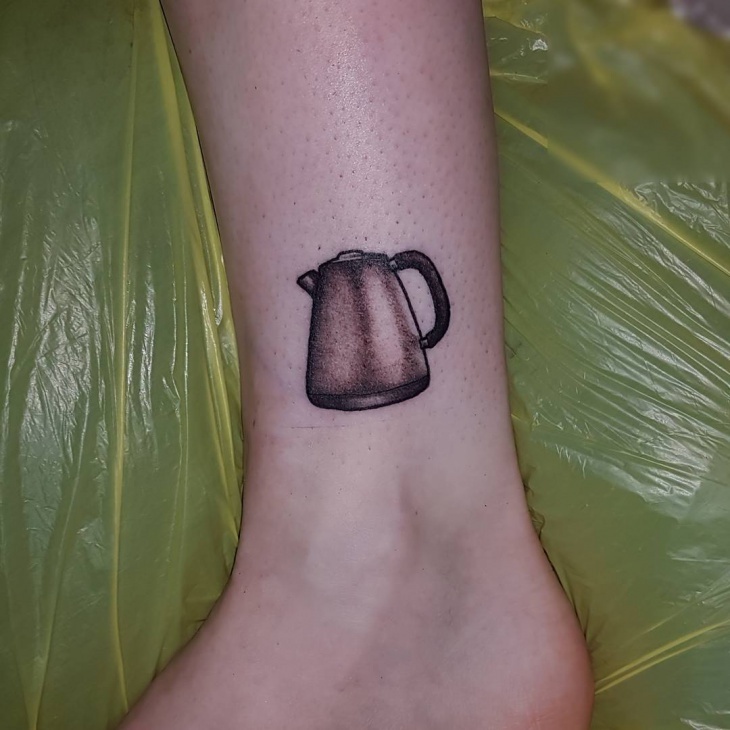 This is a design that can remind coffee from the vintage era. A beautiful pink color flower with maple colored leaves is designed in this tattoo. Underneath is a motif of a Native American face. 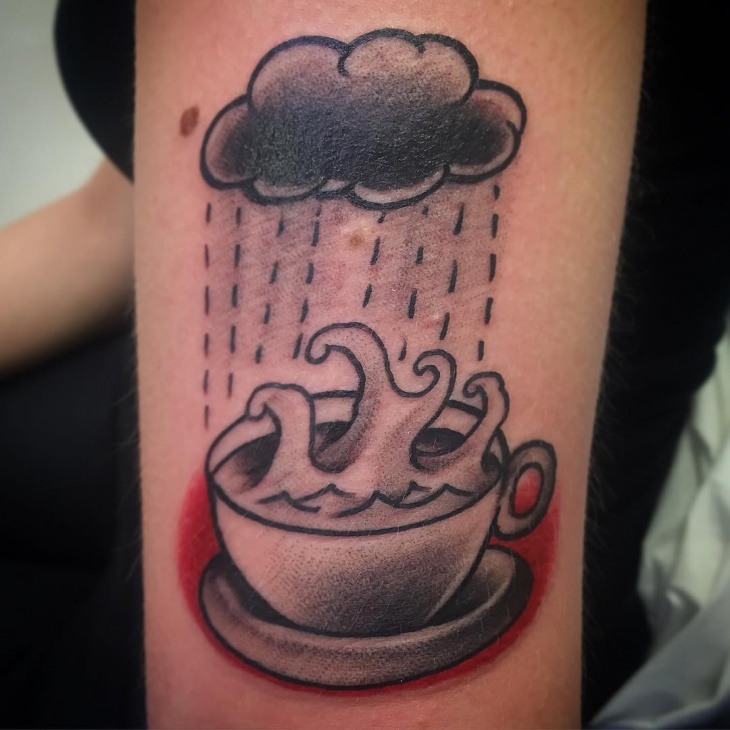 This coffee tattoo could cover half of your arm. The top of the motif has floral designs in peach color with some leaves. There is a beautifully designed coffee cup with a pink rim and a design of a flying bird in blue color. 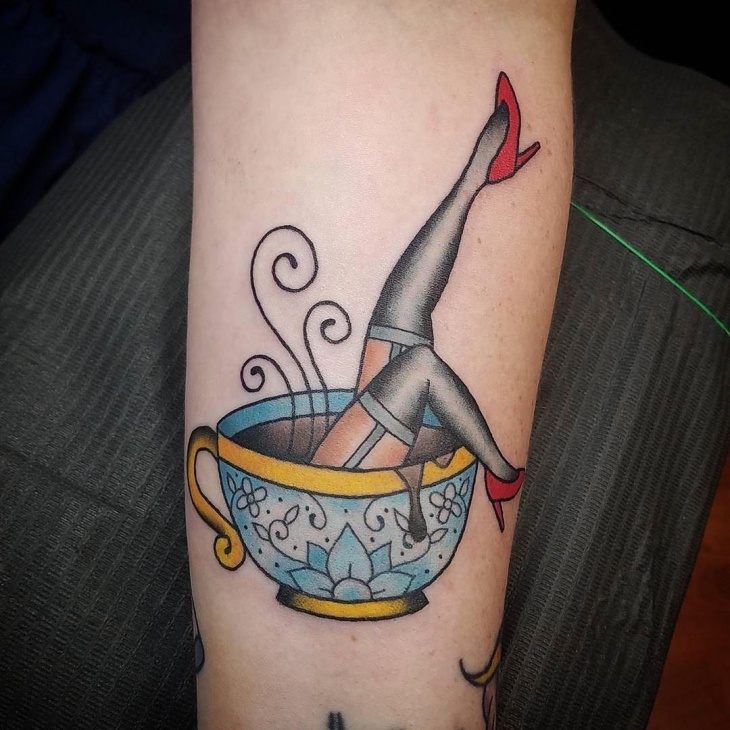 Women of all ages can wear them on the arm. 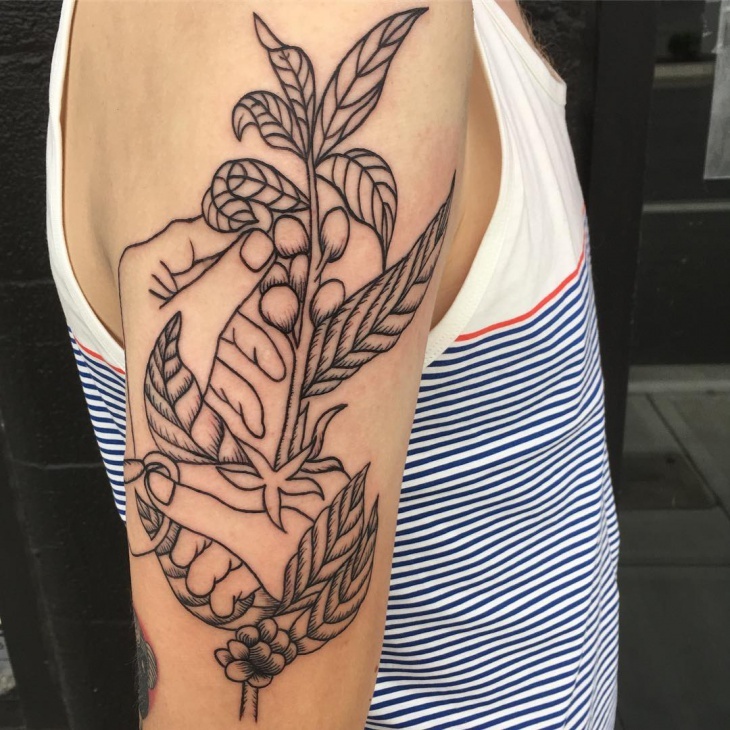 This beautiful coffee design tattoo is suitable for urban women. It starts with a tiny cup and saucer having coffee, followed by the design of floral swirls in black. It again ends with the same cup and saucer motif having coffee in it. 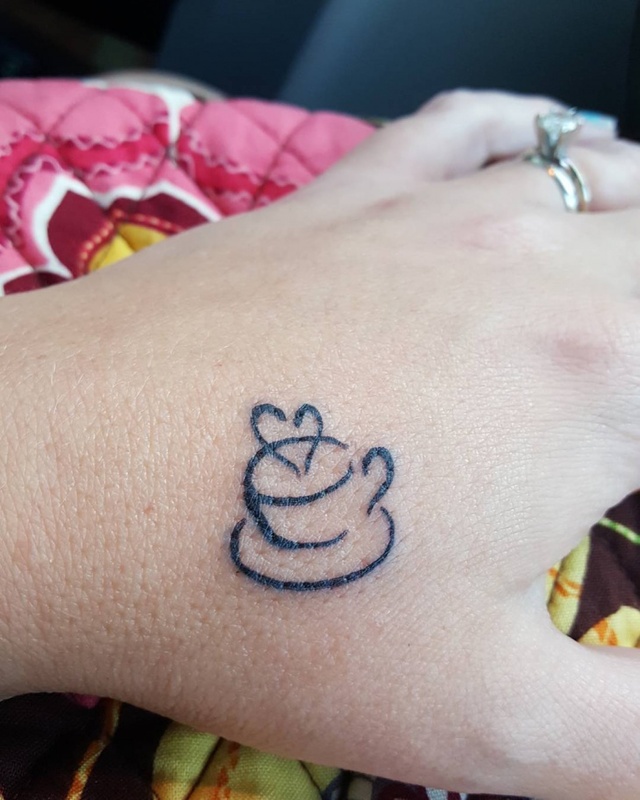 This tiny tattoo with no colors of a coffee cup and saucer with a heart drawn on top of it depicts minimalism. You can also look at the fish tattoo designs that come with fin and scales motif. 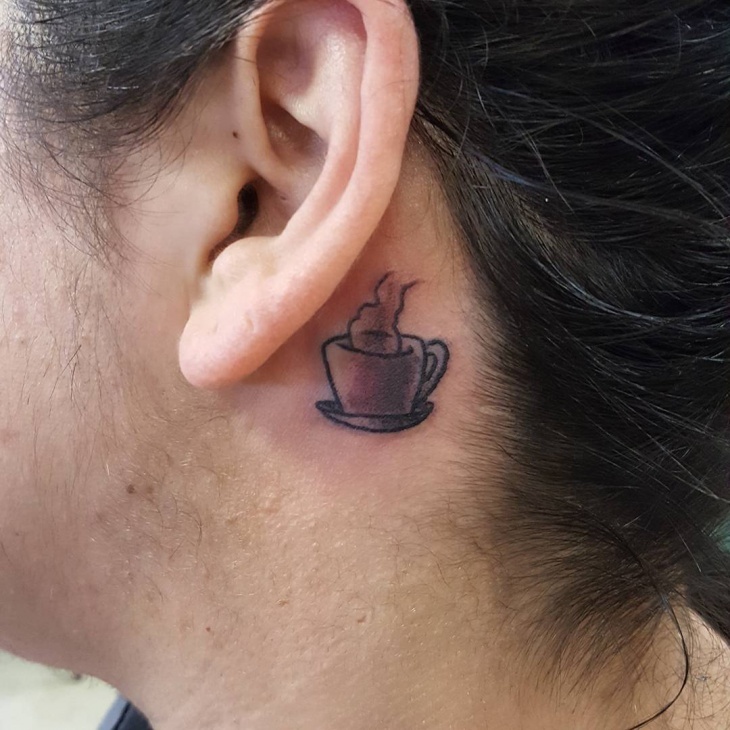 Women who love their small cup of coffee can wear this tattoo. 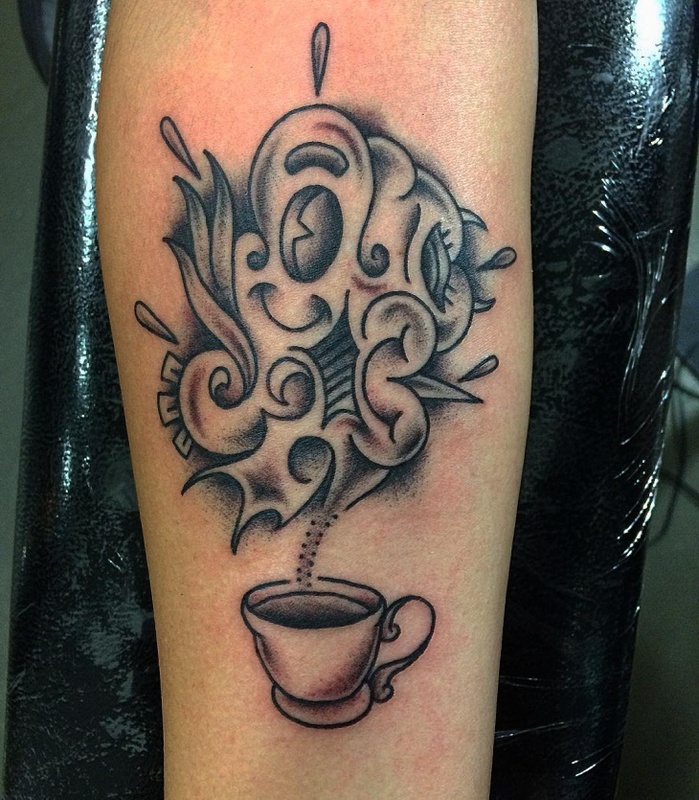 Coffee lovers who want to get inked can get ideas from these designs. 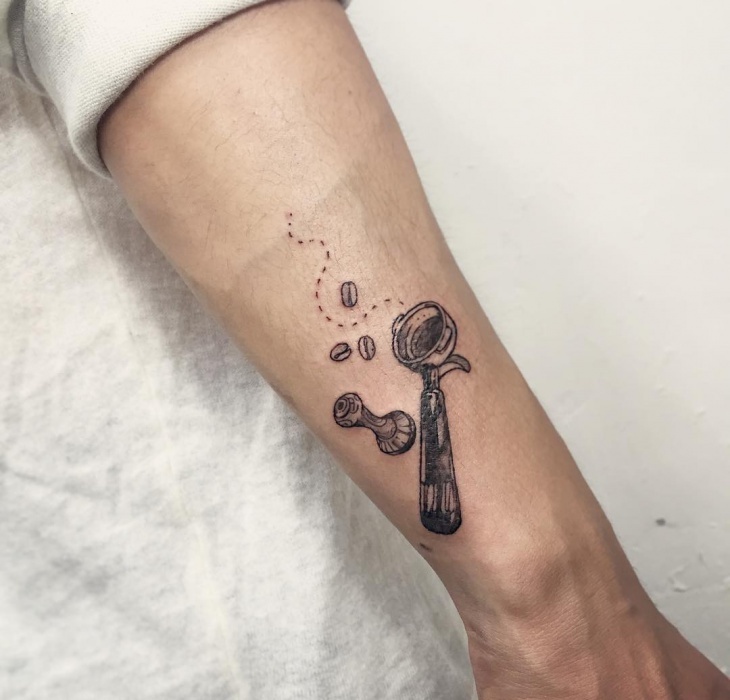 They can also choose the hourglass tattoo design if they want something random and unique. Using motifs that are not cliché and stereotype is the forte of these designs. 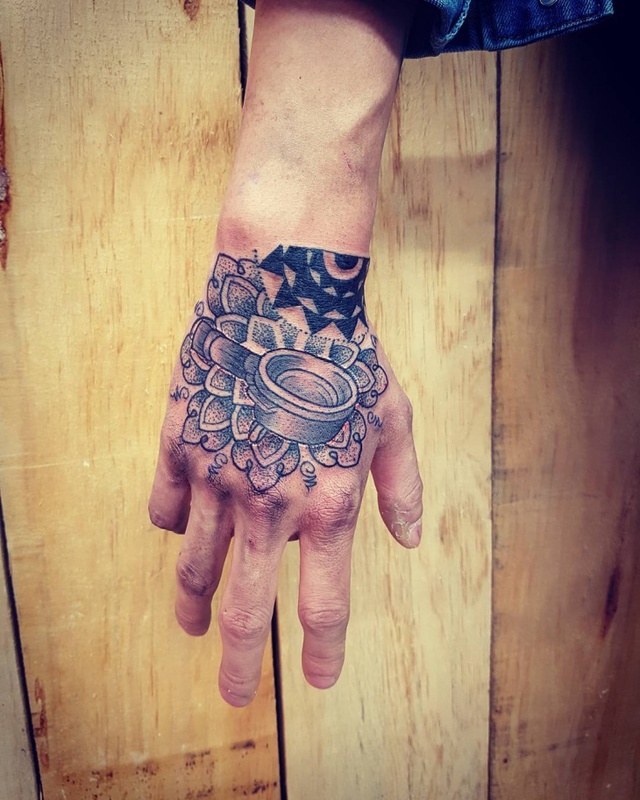 Detailing or not, these designs look offbeat on anyone.